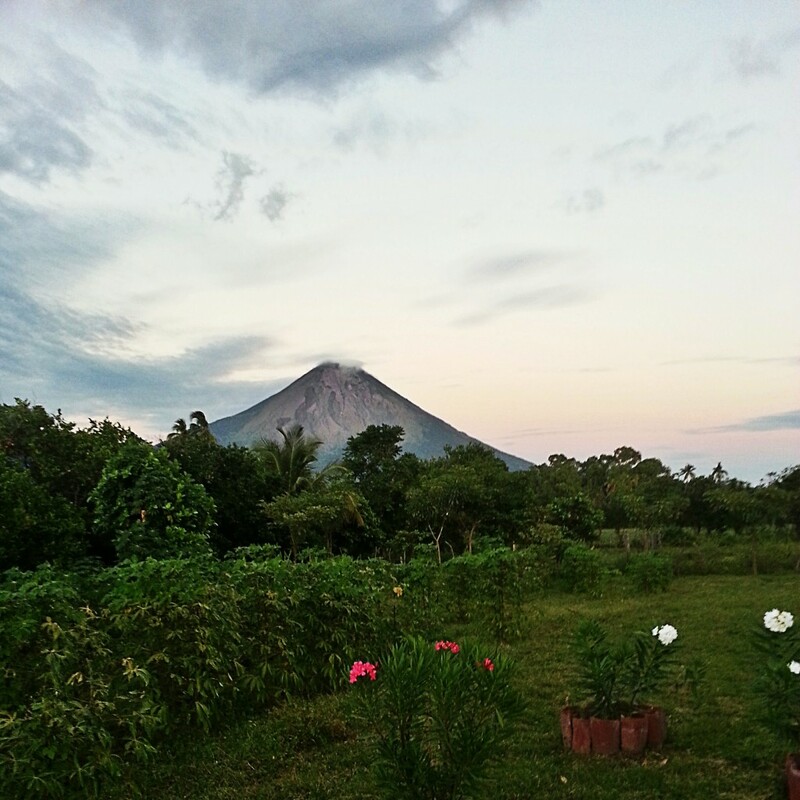 At the end of last year, I went to Nicaragua with Natural Doctors International (NDI), for their December brigade to Ometepe Island. You guys, it was amazing. Nicaragua itself is an incredible and fascinating place. 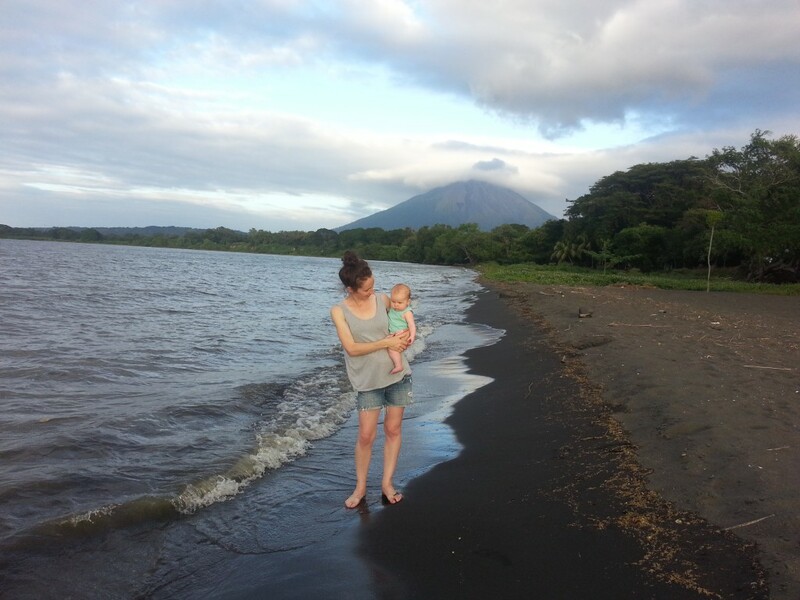 Though I didn’t see much outside of the capital, Managua, and the community where we stayed on Ometepe, I have devoured information on its people, culture and history of social and political upheaval. The largest country in Central America, Nicaragua is also the second poorest in the Western Hemisphere. The Island of Ometepe is made up of two volcanoes rising up out of Lake Nicaragua, the largest body of freshwater in Central America (currently under threat by the Government’s proposed canal project). The island’s remote location means that access to healthcare, and other essential services, is severely limited for many inhabitants. 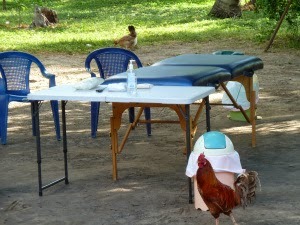 NDI provide Ometepe’s under-served community with free naturopathic and medical care, psychology services, free medicines, an emergency hospital transport service and long-term support for patients with chronic health conditions. They’ve been running their integrative health clinic since 2005. You guys, they’re amazing. Molly and I stayed in the home of Mireya and her beautiful family, which sat between the clinic where we saw patients, and el Rancho where we had lectures and meetings. 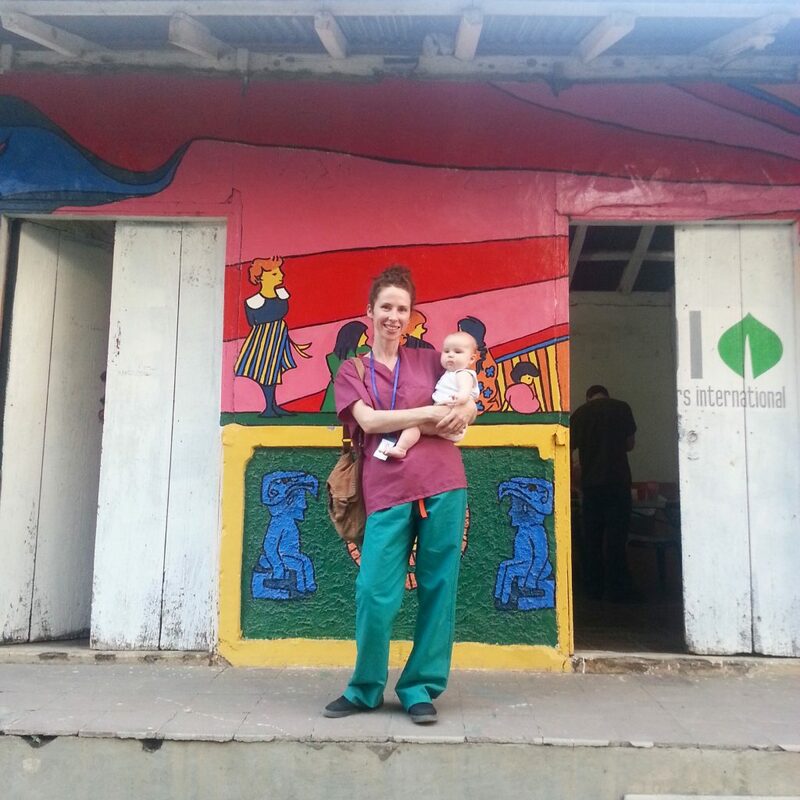 I took the baby with me to el Rancho, but on clinic days Mireya looked after Molly, bringing her over for a feed and a cuddle every couple of hours. Now, this was a pretty big deal, as Molly had really only spent time with Jon and I (and of that, mostly ‘I’) up to this point in her life, courtesy of relocating to the States when she was still a newbie. Sooooo… she didn’t handle being separated from me too well at the start – and I felt pretty funny about it too, truth be told. However, just a day into this new schedule and she was having a BALL playing with the local kids, including our little host sister Maya, and being cuddled / coddled by any one of the four generations living in our home. I was truly IN the village, the one it takes to raise a child. It was awesome. I miss that village! Someone to play with the baby while I ate. Somebody to hold her if I had to pee. 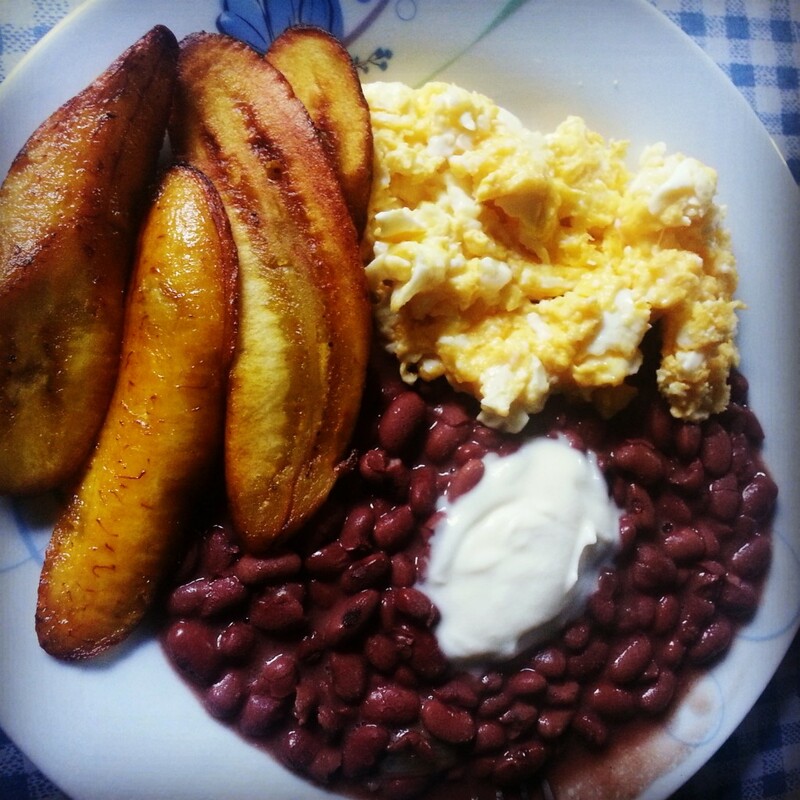 Mireya MAKING ME BREAKFAST each day: delicious plantain-based breakfast. Luxury. Plantain. Eggs. Frijoles. YES PLEASE. The course itself was fascinating. Our first few days were spent at el Rancho, where we learnt about local history and traditional medicines, took lectures on global health policy and discussed the role of integrative medicine. Once we had started in the clinic, we also met each evening to continue these discussions and debrief on our experiences. Once the clinic shifts began, it was ON. Busy, overwhelming, challenging and rewarding. During each NDI brigade, the clinic is open for more days and hours than normal, courtesy of the extra health professionals (and student health professionals) on board. For the rest of the year there is one naturopath, Dawson Farr, and local psychologist Lilliam Zacarías, who consult with patients. As such, a huge volume of people travel to Los Angeles to be seen at the clinic, some travelling many hours, leaving their homes in the wee hours to arrive in time to secure an appointment. One morning I came into the kitchen at around 6am and I could see across to the clinic’s yard, where at least 20 people where already sitting, waiting to be put on the list for an appointment. The wait times were long, but people were incredibly patient and gracious, even when they were very unwell or had small children in tow. The outdoor physical exam area. There were children, chickens and occasionally pigs free-ranging. Nobody blinked an eye. In the clinic itself, dealing with patients and dwindling dispensary resources, I felt overwhelmed. I wanted to be of service and there was clearly great need, but I also felt out of my depth – faced with serious acute conditions I’d never see in Sydney, chronic illnesses that required specialist care, and everything in Spanish I could barely understand. I wanted to step up and work alongside the other clinicians, Dawson and Tabby, but I found myself falling back with the students and playing a support role. And although this was still helpful, I felt I could do more, but fear held me back. Those first couple of days were hard, I missed my baby, I felt lost in clinical practice and out of sync with what I thought was expected of me. BUT. I got over it. I drew strength and inspiration from watching how Tabby and Dawson worked with their patients, I felt buoyed by the knowledge and enthusiasm of my student buddies, I met incredible patients – with incredible need – who helped me help them, and I reconnected with my clinical skills. I also got to practice some first aid acupuncture AND administered a B12 shot straight into the bum (it’s the little things, you know). By the end of the week I felt a combination of exhausted and inspired. 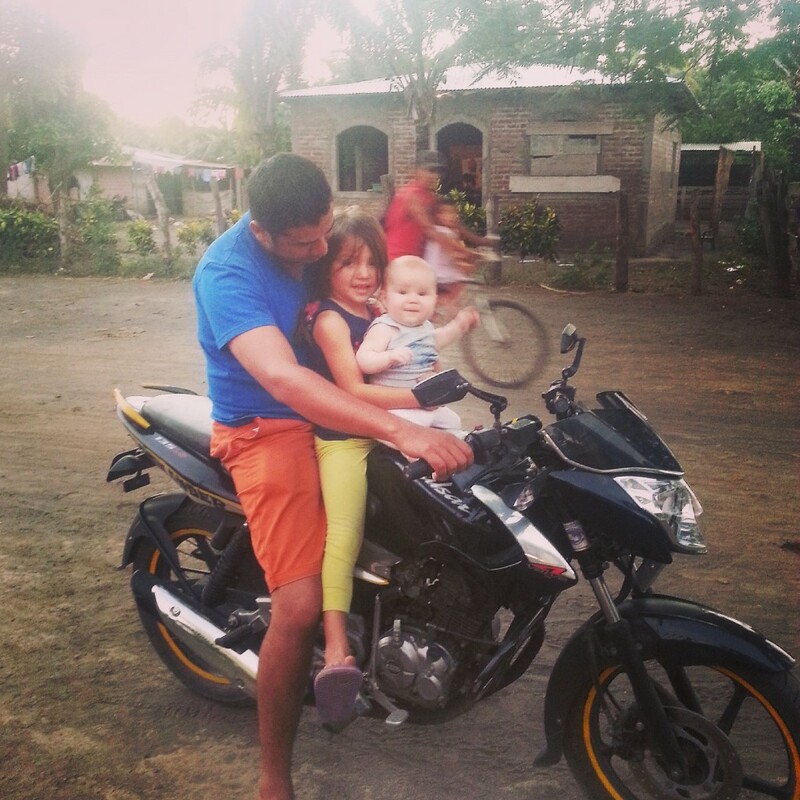 The work that NDI does with the community on Ometepe is so important and valuable; I felt privileged to have been a part of it and hope to do so again one day. I also felt grateful for the opportunity to have reconnected with practice, with my own passion for health and my ‘identity’ as a health practitioner. I hadn’t realised, or maybe just couldn’t articulate it, but after having Molly I felt I’d lost part of myself. For sure, I gained too (i.e. the most amazing baby in the world) but, particularly combined with moving to the other side of the world with a newborn (away from family / friends / support), I was so deep in the world of ‘Mum’ that I’d forgotten who I was outside of that. So, thankyou NDI for helping me reconnect with my work and my passion, thankyou for showing me the incredible legacy you have created for the Nica community. And thanks too for introducing me to plaintains, they are seriously delish. Thanks NDI. Thanks Ometepe. Thanks Nicaragua. Before Molly and I left for Nicaragua, I was feeling nervous about the trip and had considered pulling the pin. The things I worried about included, but were not limited to: travelling long haul on my own with the baby (I’ve done it before and it’s challenging), schlepping my baby to a developing country (am I putting my desire for an adventure ahead of her health and wellbeing? ), working in a busy clinic (I’ve been on maternity leave for so long, what if I’ve forgotten everything!? ), working in busy Spanish-speaking clinic (I don’t speak Spanish! ), can we even afford for me to go (the Aussie dollar keeps tanking)… etc. Usually I embrace and enjoy these types of challenges, but this time around my fear nearly got the better of me – I worked myself up into quite a lather. However, I also knew I’d regret it if I didn’t take this incredible opportunity and, retrospectively, I’m immensely glad to have joined the brigade. I gained so much from the experience, personally and professionally, and hope to return for another visit in the not too distant future.